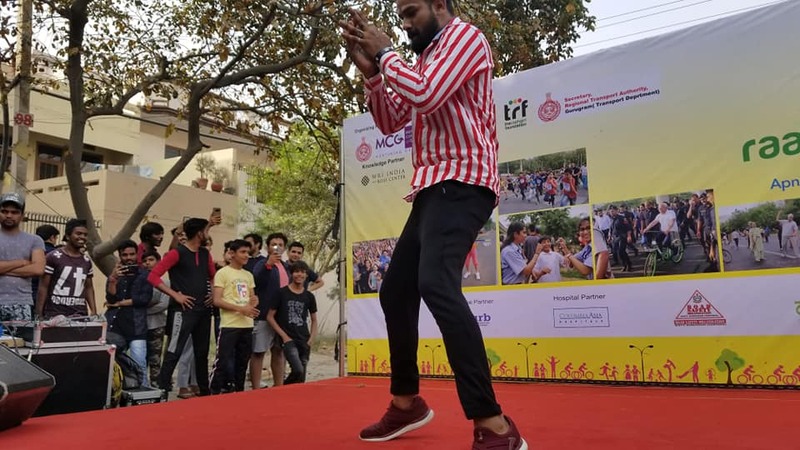 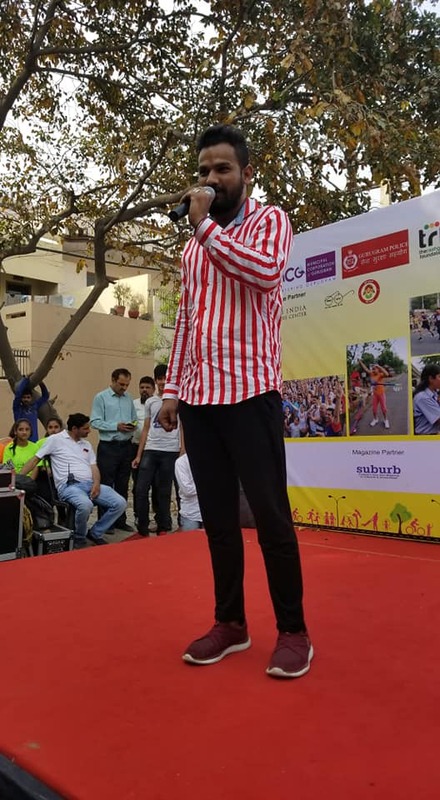 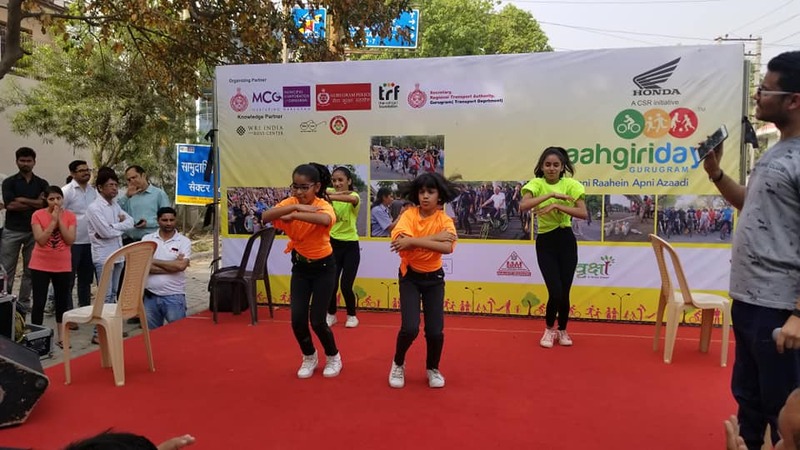 Raahgiri Day witnessed its zenith of public engagement today as people came with high anticipation of the event as Raahgiri Day did not happen the previous week. Over 2000 people came to attend Raahgiri Day. 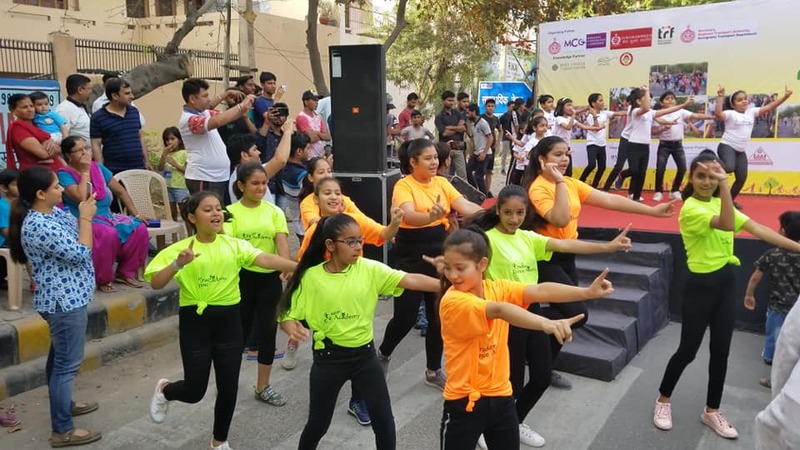 Raahgiri Day is an open street event where 1- 5km stretch of road is blocked to prohibit entry of motorized vehicle on the street. 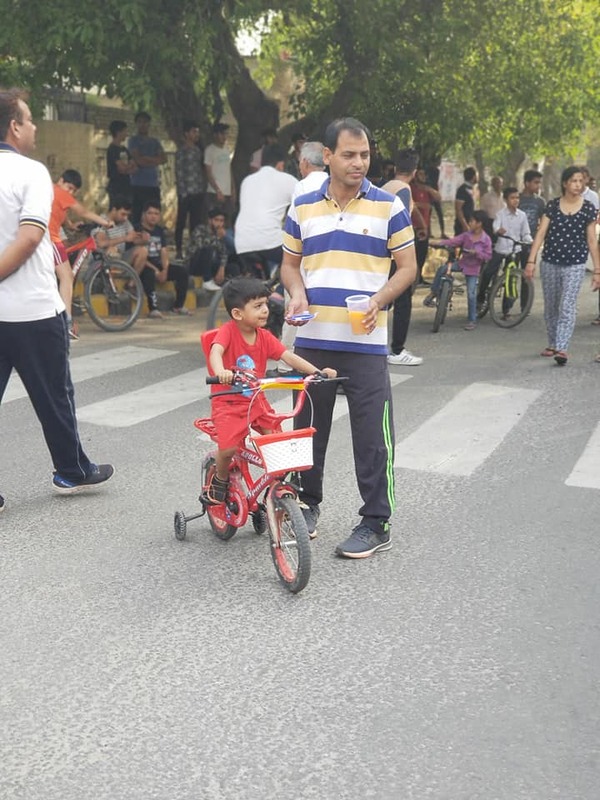 It is based on the Columbian event “Ciclovia" which started in the Columbian city of Bogota. Raahgiri Day began with Zumba dancers conducting high intensity and sweat drenching exercises to make people feel energized. This was followed by yoga to help people tranquilize and calm their mind, body and soul. 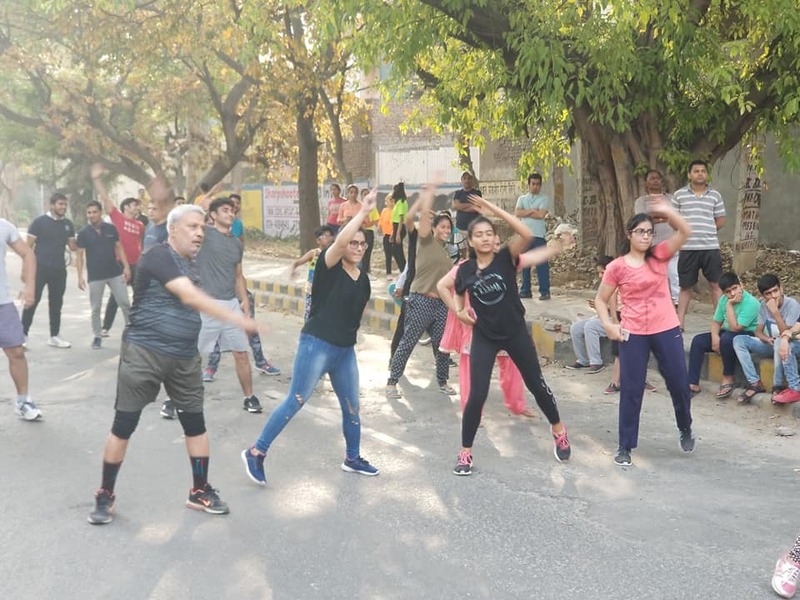 To relax people's muscles and stretch them seasoned aerobic trainers conducted a session. The idea to begin Raahgiri Day with powerful exercises and yoga was to help people have a healthy and sustainable lifestyle as nowadays due to very sedentary jobs people are not getting time and opportunity to focus on their health. 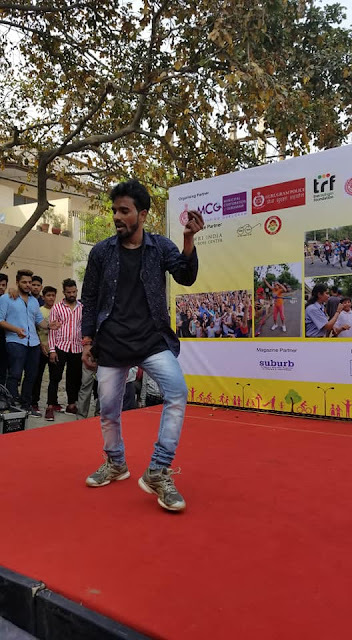 Students from Cracker Dance Academy gave a stellar dance performance. 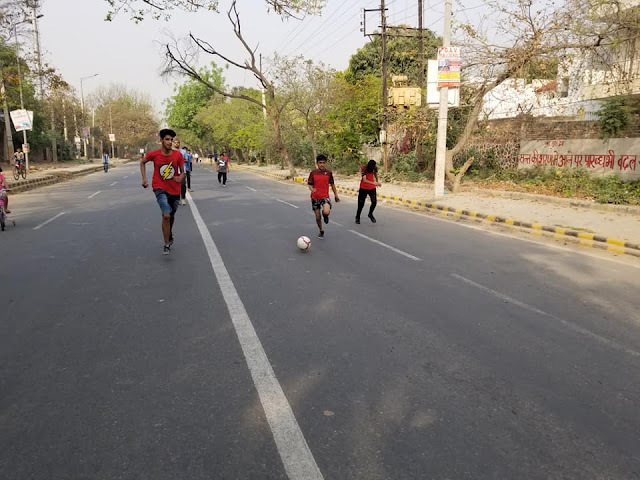 Placemaking and reclaiming of streets is apparent through Raahgiri Day at Sector 4 Gurugram. 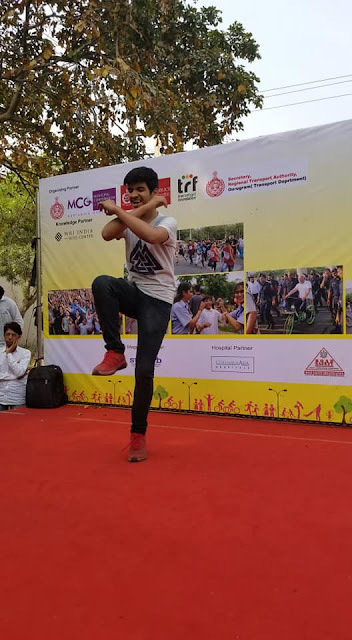 Next week, Raahgiri Day will be held at the same place and same time, 14th April Sunday, 7AM to 10 AM . Hence all the residents of Gurugram are welcome.